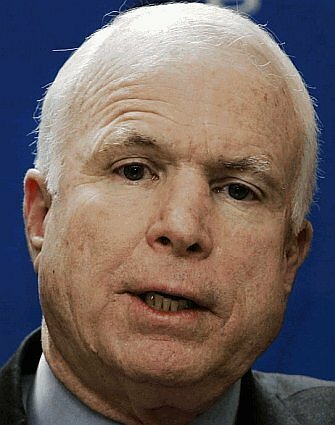 there’s no fool like an old fool-McCain Blows Debate! good god! McCain is stumbling and rambling. he looks confused and his voice sounds grouchy, whiny, and cranky. he’s repeating himself like some doddering old fool. there hasn’t been an embarrassing performance like this since Kennedy trashed Nixon in ’60. And Obama did as well as McCain did poorly. I think he trounced all those “it’s only rhetoric” jabs. The format was perfect for showing that his speech-making skills are an outgrowth of well-thought-out ideas and balanced judgement. obama is scary smart and mcCain is scary dumb. i especially like someone who can speak with some conviction. god- mccain must’ve said “my friends” about a thousand times. i hat e that -sounds phony. i still can’t believe anybody would want the job with the turmoil the country is in but wow- i think the poll numbers will reflect the obvious rout – did you feel like i did that at one point in the beginning of the debate that mccain was about to faint- he seemed dizzy or something – i thought i saw him stagger a little ? i actually felt sorry for him then. is 60 minutes coming to Missoula? oh well, that’s different- never mind.